A team of New York Times reporters demonstrated that when it used location information collected through a single company's database to identify individual users and track their daily activities. According to the December 2018 story, companies sell, use or analyze this data for insight into consumer behavior. It may seem consumers have no choice if they want to use such apps and services. However, Cai says there is a way to limit what companies can glean from location information. 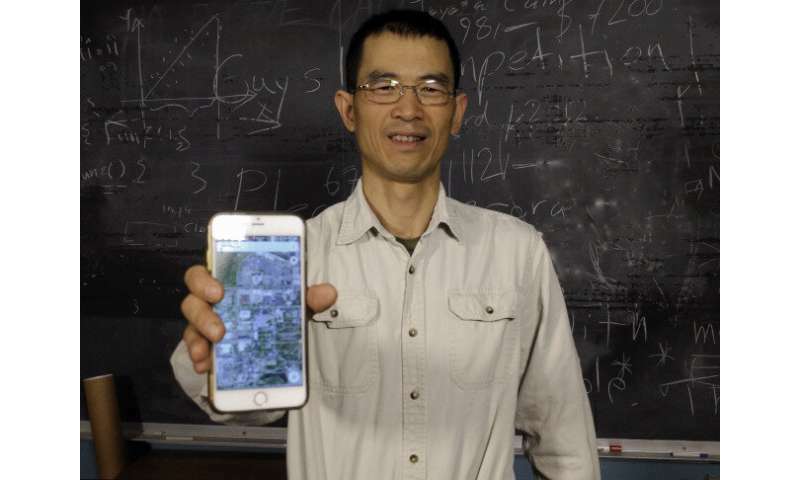 Working with ISU's Office of Intellectual Property and Technology Transfer, Cai received two patents for his location-cloaking technology (one in 2014, a second in 2017). "Privacy is a big issue. We can all agree on this," Cai said. "If customers ask about cloaking technology and service providers realize location privacy is critical to customers, providers may see the value and offer this service." The concept behind the technology is simple: to provide a location that is as precise as possible, but still sufficient to protect the user's privacy. Specifically, users give examples of locations matching their personal privacy level. Cai says service providers then use that information to calculate a cloaking region with a similar popularity. The size or traffic of a particular location will vary based on the user's comfort level. It is similar to going to the doctor and selecting a pain threshold on a scale of one to five, Cai said. For example, you may select a city park or a big box store – a location you feel is larger enough or has a certain traffic volume that makes it difficult to track a single individual at any given time. Then whenever you want to report your location, your service provider will identify an appropriate region to report, Cai said. "That way, every time you report your location, you make sure it cannot be linked to people who were there at the time when the location was reported," Cai said. "This gives you protection from the time dimension, which is important." "If I visit someone in the hospital or attend a political or social event, even though I'm not doing anything wrong or bad, I don't want someone I don't know or trust to track my information," he said. "Absolute privacy does not exist. We may not solve the problem to the full extent, but we want people to be aware and to be able to manage their risk."